The Prime Minister Narendra Modi is arriving to celebrate Dussehra at Aishbagh Ground Lucknow and to see the stage play of Ramlila on October 11. He will halt here for one hour to see ‘Rawan Vadh’. Aishbagh Ramleela ground is an oldest stage play ground where the residents of Karehata Zamindari, and the adjoining areas at its periphery; namely, Bhadewan, Daryapur, Dugawan, and Garhi Kanoura’s residents have been participating for the past several years. The followers of Rama gather here in huge numbers to look the fair and Ramleela on occasion of Dhussera every year. The residents of real Lucknow are of mixed creeds, but have the famous etiquette of talk in common. It is the first time for Lucknow to celebrate Dussehra with the prime minister who is to be with public on Tuesday evening. 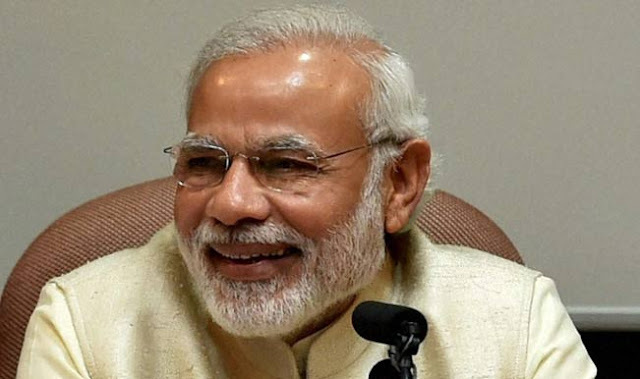 Ramleela committee has been inviting Prime Minister and President for the past many years on the occasion of Dussehra, but Narendra Modi has accepted the invitation of his arrival. According to Hindu mythology, Goswami Tulsidas had begun the stage playing of lord Rama’s life here, which is still continuous. The symbol of etiquette among the mixed community, the real identity to Ramleela at Aisbagh was facilitated by Assfudaula, Nawab of Audh who had given 6.5 acre land for the purpose. He was also participant as a stage player. Why did it assume the symbol of etiquette is because the adjoining of the ground —the land 6.5 acre for the purpose of Eidgah was given to Muslim community? Both communities enjoy and celebrate here their festivals. Asfuddaula, Nawab of Audh, participated fondly in stage play, and looked eagerly Ramleela here. He had enjoyed the stage play for the 10 days. Since the saints gathered and halt here, Nawab assigned the land to Ramleela and Eidgah by the testament. Goswami Sri Tulsidas has introduced about 4 Ramleela, which reveals this Ramleela. The grand and splendid Ramleela is staged in North India at Aishbagh Lucknow.